The rich meets beautiful story is one that has always thrived, it’s just been rebranded as a Sugar Baby and Sugar Daddy arrangement. Being in a relationship is obviously different from being single. It has its own benefits and when in a sugar arrangement these benefits and perks multiply. Have you ever wondered what Sugar Daddies and Sugar Babies get out of a sugar arrangement? The best Sugar daddy dating websites (that’s us!) are getting popular by each passing each day and there are reasons for that. Although a sugar relationship is still not categorized as a ‘real’ relationship by many, the perks it brings are very real. Both Sugar Daddies and Sugar Babies benefit in emotionally, physically and Sugar Babies experience a drastic change in lifestyle. Sugar dating sites have made everything easier for a Sugar Baby and Sugar Daddy. 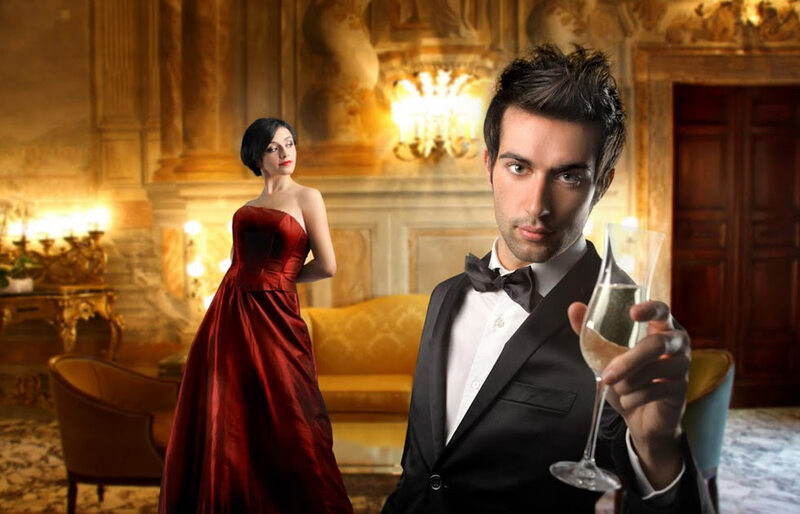 Instead of dressing up and going to high-end parties, waiting to catch the eye of a rich, successful man, Sugar Babies can now browse through the profiles of Sugar Daddies from the comfort of their home. Lots of people are opting for the sugar bowl and here’s why it can be considered as the future of dating. One of the most significant benefits of a being in a sugar relationship is that it throws unnecessary drama right out the window. When things don’t work out as partners would’ve imagined, they start fighting or arguing with each other. Frustration levels rise and eventually lead to a breakup. This doesn’t happen in a Sugar arrangement. When sugar partners get into a relationship, they agree on specific terms right from the outset and stick to them throughout. Both of them know what the other wants and they take care of each other’s needs. The rich meets beautiful arrangement will always make for a happy relationship. A sugar arrangement gives you an opportunity to be straightforward about what you want. There is no reason to be ashamed of being direct about what you need from your sugar partner and the arrangement. In fact, it is expected of you to outline your expectations on the first or second date. Sugar Babies choose Sugar Daddies for different reasons and vice versa. Some Sugar Babies need a travel partner, others want their bills paid and some are even looking for a mentor. Similarly, some Sugar Daddies need partners to accompany them on their travels and some want their emotional needs to be taken care of. Both lay out their terms at the start and only if the other agrees to them the relationship starts. Be patient in choosing a sugar partner and only say yes when you get what you want. In a Sugar relationship, a Sugar Daddy or Sugar Mama gets to be an alpha and their partner expects that from them. They decides if he wants to have lunch, travel somewhere or roam around the city. Whatever the agreed upon arrangement is, the Sugar Daddy will get it from his Sugar Baby. He just has to decide and tell her. In turn, Sugar Babies decide what they want. She is always available for him but expects her desires to be fulfilled and satisfied. Both get what they want which is why a sugar arrangement is termed as a mutually beneficial relationship. In addition to being wealthy, Sugar Daddies are more mature than younger men. Sugar Babies are more energetic than women of Sugar Daddy’s own age. Both benefit from what they bring to the table. A Sugar Daddy does not care who you are with when you’re not with him. Unless and until clearly stated that he wants to date you exclusively, you can do whatever you want when he is not around. He is a busy person who doesn’t have time to track you down and keep tabs on you. He is also more mature and knows better than to behave this way. Also, breaking up in a sugar relationship is not as hard as in a vanilla relationship. The arrangement a Sugar Daddy and Sugar Baby have is many times a no-strings-attached relationship and both are aware of this fact. Commitment is not a thing in NSA relationships. This is why most sugar partners are able to end relationships on good terms with each other and often be friends with each other even after. Being in a sugar arrangement, both sugar partners get to meet many people in each other’s network. This is particularly beneficial for a Sugar Baby. She gets to meet other successful businessmen and makes contact which comes in handy later when she finally decides to kickstart her career. Sugar Daddies love girls who have a goal in life. A Sugar Daddy who cares about his Sugar Baby will help her expand her network and provide her with proper insights to help her with her career or business.